Empress gin and tonic. 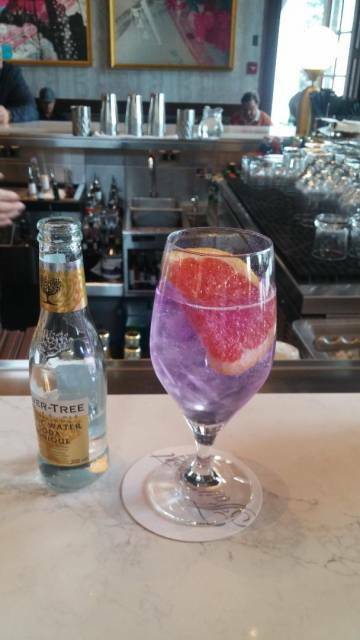 The gin was deep blue until the tonic was added and it turned pinkish. Note the grapefruit slice.